Macbar 26 bilge keel motor boat built in 1983. She is presented in very good order and benefits from an interior re fit in 2017. There are 4 berths in the ample sized main cabin and a good size cockpit area with new floors and upholstery. She has gas fired warm air heating, a comprehensive galley and electric windlass with a sea anchor and mud weight. She is a capable offshore/Estuary cruiser equally at hoime on the inland waterways. 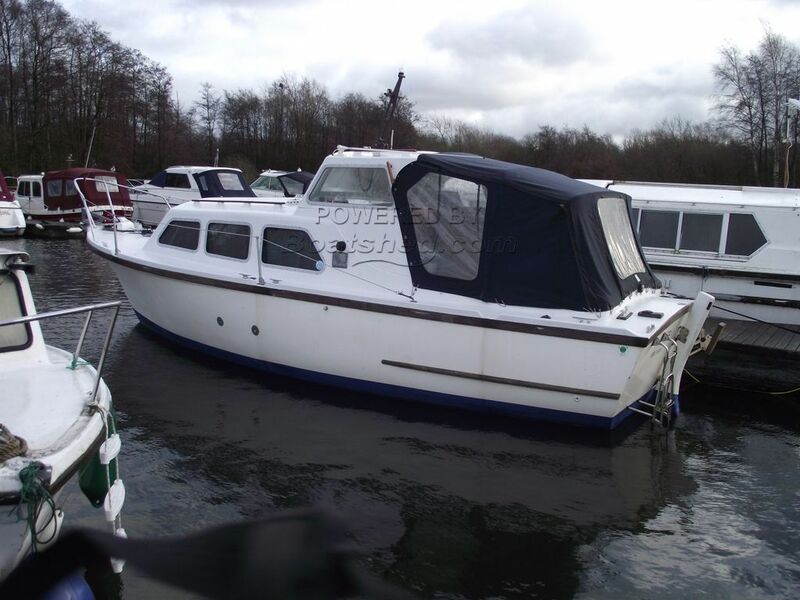 This Macbar Marine 26 has been personally photographed and viewed by Gary of Boatshed Norfolk. Click here for contact details.